One key finding was that almost 1 billion gallons of gasoline per year can be attributed to passenger weight gain in non-commercial vehicles between 1960 and 2002--this translates to .7 percent of the total fuel used by passenger vehicles annually. Researchers also estimated that over 39 million gallons of fuel is used annually for every pound gained in average passenger weight. It is noted that while this is relatively small considering other factors such as more people on the roads, it is still a large amount of fuel that will continue to grow as the obesity rate increases. There is scant evidence that the body mass index of people in developed societies soared into unhealthy ranges for most of the 1,000 years studied, Young said. But there is little doubt, she added, that that changed in the 1970s, 1980s and 1990s -- coincidentally, when portion sizes began a dramatic run-up. The Wansinks, however, suggest that portion growth may have a provenance far older than industrial farming and the economics of takeout food.Instead, they suggest, it's a natural consequence of "dramatic socio-historic increases in the production, availability, safety, abundance and affordability of food" over the millennium that started in the year 1000 A.D.
A good friend of mine had a similar experience sitting next to a guy who was big but I don't think as big as this, for a long-haul flight and was effectively injured by sitting for several hours in a contorted position with his fellow pax half on top of him. The airline that did that to him was utterly unsympathetic throughout a lengthy correspondence afterwards. OK, Emirates since you ask. Ironically my chum is now in a senior position with another carrier. 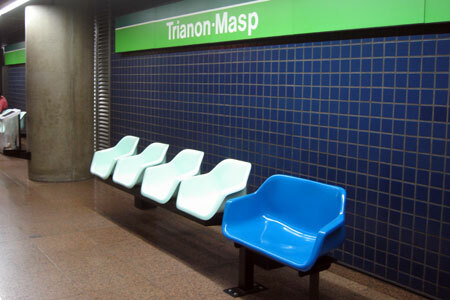 The seats are bright blue and have stickers above them marking them out as special seats for the use of obese persons. Strangely enough, they seem almost always empty; presumably, a lot of those who can fit into a regular seat or can bear standing are not keen to self-identify themselves as severely overweight. One wonders how facility planners could cater for a widening population without coming up against against stigma and denial. They could, of course, go back to flat benches without divisions, except that those allow homeless people to sleep on them, which is unacceptable for various reasons. (Not all people are sufficiently enlightened and compassionate to share their daily commute with the aromatically homeless, and if public transport facilities adopted a secondary role as a homeless shelter, this would drive out many of those who are sufficiently well-off to avoid public transport, putting more cars on the road, and resulting in the money spent on running the actual trains being wasted, but I digress.) Possibly some sort of design with all seats being double-width with a low-key, or movable, divider in the middle, would do the trick; though that could have the unintended consequence of encouraging amorous couples. Wow. I can't believe I'm really here. When I told my parents that I wanted to go to space camp, I never thought they'd actually agree. Especially not after they took me to see that doctor and he said that if I didn't lose some weight this summer I might end up getting diabetes. Mom and Dad seemed pretty concerned after that. But, hey, here I am! Uh-oh. Better stand up straight. Here come our NASA-trained camp counselors! Strange. They look a little young to have graduated from the flight academy already. And why are they wearing gym shorts and coaches whistles instead of their regulation flight suits? Come to think of it, why am I the only one who showed up wearing a flight suit? No, wait. It can't be. This is not what it looks like. It's space camp. That's why this gymnasium they've taken us to has a giant model of the solar system. Yes! Check it out! A giant, sprawling replica of the solar…. Okay. Those are just a bunch of different colored exercise balls. 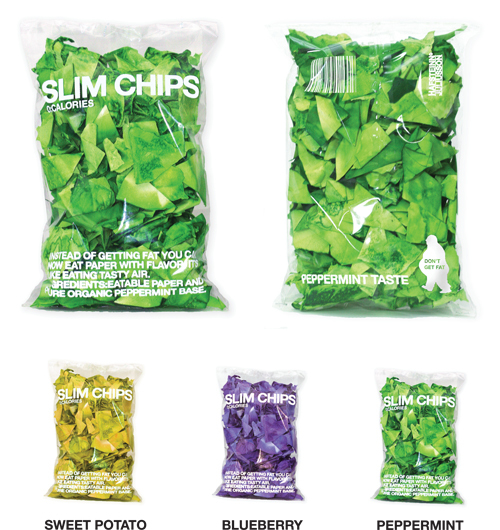 It is not clear whether the chips are being marketed or whether they're just a piece of conceptual art. A new study has found that city owners of large four-wheel-drive vehicles are less community minded than other drivers, less charitable, more likely to be homophobic and have a low opinion of indigenous culture. The Australia Institute study has also found they are more likely to use force to get their way. Two thirds of their drivers in the city are overweight or obese. They also had a lower regard for the welfare system than the general population. In other words, 4WD drivers are model members of John Howard's Relaxed and Comfortable Australia. One could almost say that not owning a 4WD is un-Australian. 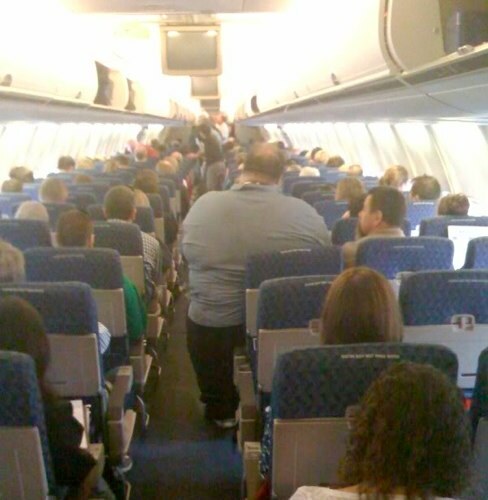 This week, the federal aviation administration revised guidelines used by airlines to calculate how much weight they have on board to take account of the fact that Americans are getting fatter. The FAA has added 8% to a male and 18% to a female traveller in an attempt to ensure that the centre of gravity, takeoff speed and fuel needs for planes can be more accurately estimated. "Maybe instead of just using those [boxes] at the gates to limit carry-on bags to certain sizes, the airlines need to have a people-sizer with a sign asking, 'Do you fit into this?'" Dave Grotto, of the American Dietetic Association, told the Chicago Tribune. Given people's propensity to lie about their weight, airlines were told to add 4.5kg (10lb) to the figure they were told. "They usually lie in the single digits," said Peggy Gilligan, the FAA's director of flight standards. New studies from the U.S. show that suburbia makes you fat. The studies show that the residents of sprawling counties in the U.S. tend to weigh six pounds more than their counterparts in more compact areas, which is caused by the lack of safe pedestrian areas which encourages a sedentary lifestyle. Of course, this wouldn't wash with Libertarians, who would argue that obesity is strictly a personal failing on behalf of the deficient individuals who lacked the willpower to drive to the gym, hand over their credit card and work off the pounds piled on through the Miracle of Progress (i.e., the lack of archaic facilities such as footpaths in their neighbourhoods). Much has been written about the epidemic of obesity in the US: now it turns out that obesity may be America's secret weapon against terrorism, by making it harder for terrorists to blend in. "The average American today is between fifty and seventy pounds overweight," said Dr. Charles Reardon, author of the study. "That means that a terrorist who hopes to fit in here would have to eat like a pig to do so." Our obesogenic society: In parts of the US, walking is something that's not done outside of the home. If you're an adult, you drive. If you're a school student, you drive a golf cart to school. How long until there is a whole line of electric carts in "extreme teen" styles/colours, sold at Wal-Marts across the US and aimed at the commuting needs of suburban kids? A group of overweight New Yorkers are suing fast food chains for making fattening food and not telling the public that it wasn't healthy. Whatever happened to the notion of personal responsibility? A Grauniad piece looking at the explosion of obesity in America, and the factors that caused it (mostly bad design and unintended consequences). For a start, in some parts of the country, Americans have eliminated not merely the need to walk, but even the possibility of it. "I'd love to be able to walk to the store, pick up some milk and come home again, but our towns don't really allow that," laments Mary Gilmore, a dietician in Meridian. The distances are too great, the pavements non-existent. In the sprawling suburbs and small towns, public transport is often as rare as in an English village. In any case, it is almost impossible to carry the milk: it usually comes in gallon containers (a US gallon is four-fifths of a UK gallon). In a country where the cost of packaging exceeds the cost of the food, buying any other way is far more expensive.